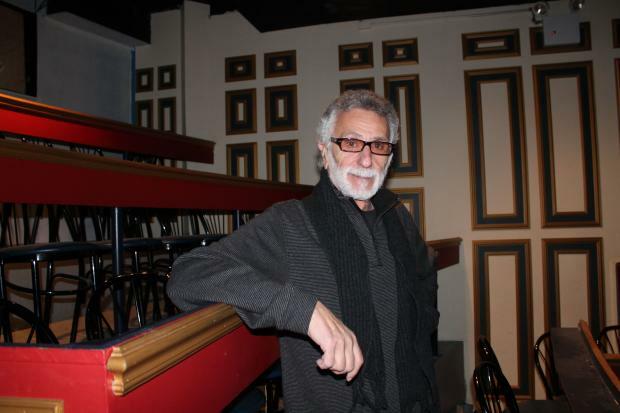 UPPER WEST SIDE — Longtime comedy maven Rick Newman is throwing his weight and connections into a complete overhaul of Peter Martin's 16-year-old Triad Theater to unveil a new venue called Stage 72. Newman — who's known for creating Catch a Rising Star comedy club in New York City in 1972 and for helping to launch comic greats including Jerry Seinfeld, Billy Crystal, Robin Williams, and Ellen DeGeneres — will breathe new vitality into the space on West 72nd Street between Broadway and Amsterdam Avenue. Newman said he'll use his connections from those years and his long career to draw talent to the new theater, including appearances by Tony Danza, Mario Cantone, Rachel Dratch, Tovah Feldshuh, Janeane Garofalo, Eugene Pack, Dayle Reyfel, Julian Sands, Alan Zweibel and Susie Essman. Newman has been approached many times in recent years to back ventures around the city, but nothing inspired him until he saw the results of four years of ongoing renovations, transforming the Triad into an ornate 1930s-style theater. Plush banquettes, gilded wall paneling, a new proscenium, and antique globe lighting fixtures create a new look for the space — one Newman was immediately drawn to. "You just don't find anything like this," he said. "It was a good time to start fresh with new, interesting programming." The new theater will be much more than a comedy club, featuring opportunities to have intimate conversations with artists about their work, independent film screenings, music, burlesque, ensemble shows and standup comedy. "It's a different age of people going out. You have to provide something different every night," Newman said. There will be no long runs. If a show is to stay in the theater for even a month, it has to be special, Newman said. Some nights, three different shows will take place. Newman is particularly excited to offer comedians a space for creative flexibility. "The idea is to do avant-garde, original material that isn't offered anywhere else," he said. Newman said Stage 72 will appeal to young people and also nurture new talent. The motto, he said, is "step into the unexpected."